Open Pen recognises the demand short stories make of their writers. Though small in scale and in form, they require vast amounts of effort and time to be given if they’re to be crafted properly. By focusing on certain details and magnifying them, they turn the minutia of life into the forces which embody and shape it. Writers must be masters of unresolved brevity, yet the stories must provide some sort of fulfilment. They are complete narratives, yet they are considered as single entities like sculptures. The debate has gone on for some time as to what a short story is and will continue to do so. A good short story is full of its own inherent contradictions that culminate into a work of art. If crafted well enough, they can give the reader something which no other form can, leaving them with a brief moment of satisfaction and perplexity, a sense of being levitated slightly above ground, which is almost ritualistic after every story. This is what every worthy writer hopes for and what every reader craves, and it is what each story in Issue Fifteen of Open Pen manages to deliver. The initial story ‘The Shields’ adds proof of the publication’s confident and modern ethics on good writing. 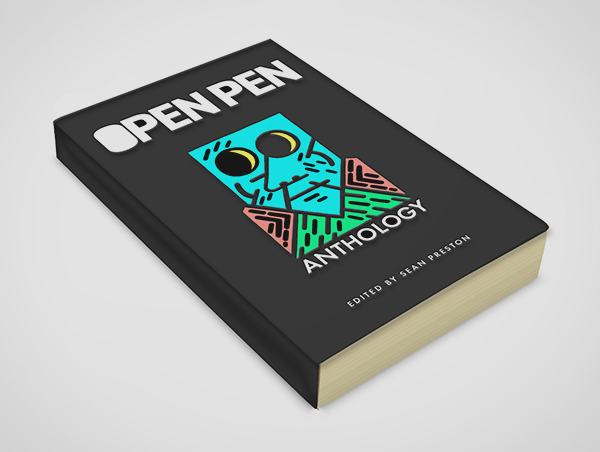 Whereas some publications would shy away from the raw subject matter of suicide and mental illness, with a voice that is unconventional in style, Open Pen has published it at the front and on the cover of Issue Fifteen. ‘The Shields’ is worthy of comparison to Denis Johnson or Clarice Lispector in its dreamlike ambience and surreal impressions, etc, etc, etc… Yes, comparisons can be made, and should be made to some extent, but this story is truly unique. Each line is crafted with enough consideration to be taken as a line from poetic verse: ‘he’d felt sadness like a cold breath in his neck, and he’d turned around to find its source.’ Open Pen is not desperate to cling onto contrived notions of experimentation or rawness, as the consequential stories within Issue Fifteen prove, but it does know a good story when it sees one, and it wants to make it known. 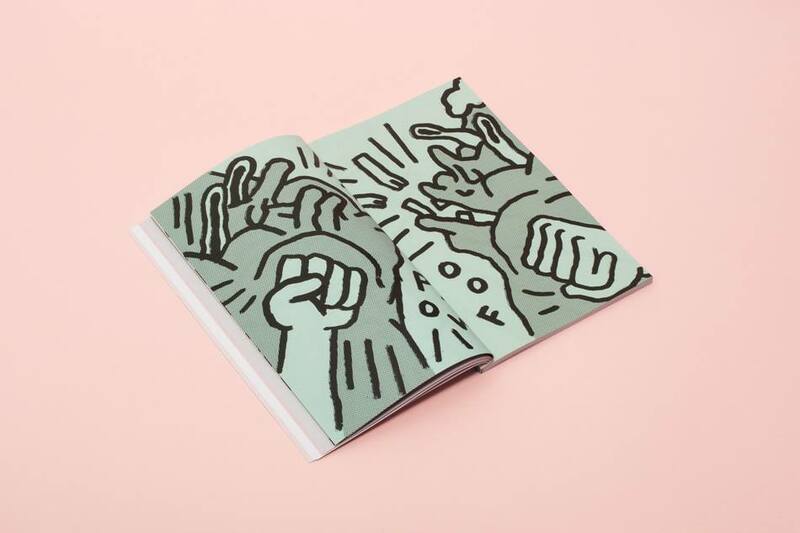 ‘Wor Jackie’, the second story, offers a scene from the perspective of a teenage boy with his friends, with little more life experiences than that of a child’s. They are looking at a statue of a famous football player. A man approaches them who is carrying a bag of fish, and who implies to them all a sad prophecy of their lives in the future, a prophecy the narrator already appears to be quite aware of. The realist and terse narrative makes the stagnant lives of the characters ever more resonant. The Englishness of the dialect is refreshing. Many attempts to add a voice to a location is often over-emphasised, but here it is as subtle as the tragic narrative itself. There is a sense of the inescapable resignation towards their lives the boys will succumb to, if they haven’t already. In biblical terms, the fish is a symbol of salvation. In this story, the man carrying the fish is himself carrying the same symbol. He hands the fish to them, and they receive it, but they destroy it without intention. The stark reality is that the unmentioned prediction of their diminished and chanceless lives has been fulfilled by their own hopelessness, and they look down onto the floor at the fish, ‘watch it for a long time, until it stops flopping. It’s mouth opens and closes, and then it doesn’t.’ The emotional value lies within the thematic significance of the everyday. There is no doubt regarding the quality of this story. Each narrative is certain of its sense of place and tone. ‘The Witch’s Funeral’ draws its realism in a manner similar to that of ‘Wor Jackie’. A family is planning the funeral of its husband and father on the same day as Maggie Thatcher’s, clearly damaged by Thatcher herself. The deeply personal and intimate has been mixed with the broader political and social. One cannot exist without being affected by the other. The observation of these two linking subjects culminates in an interesting study of one’s place within family and society. Though the locations within each story are different, as with each theme and style, what remains true throughout is the urgency of the effect that a situation has on each of the character’s lives. In ‘Little Sparrow’, the last line of both the story and the collection refers to a character and declares that ‘no: she wasn’t going anywhere’, finalising the sense of the entrapment in her situation. Though many of the stories’ characters seem lost at times, or isolated, the emotional profundity and awareness displayed by the writers illuminates the path to true north for the reader. Within its four walls, Issue Fifteen boasts of an editorial, five short stories, one flash, and a review of a bookshop at the end. All white good included… Obviously, good fiction cannot be atomised into its physicality the way that a property now is, and, though diverse and different, each story has found its place comfortably within the ‘Home of Open Literature’.